Design fields are vibrant and jobs in graphic design are thriving! 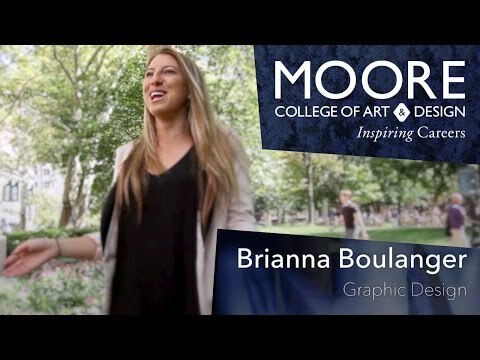 Moore’s major produces creative, informed, contemplative, visually astute designers able to grow within a continually evolving, dynamic profession. It supports the creative process with a carefully sequenced multiform curriculum emphasizing the fundamentals of design through concept development, generative sketching, prototyping, image making, typography, digital technology, time-based design, interactive media and web design. Graphic Design students had a hands-on opportunity to work directly with Iranian born designer Mehdi Saeedi and learned how he uses Persian calligraphy to render unique conceptions in graphic design then they created self-portraits using Persian calligraphy and produced posters and t-shirts. 100% of 2017 Graphic Design graduates are employed with businesses in their field of study!